Or, you can call (818) 762-0461. 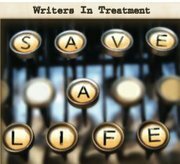 Writers In Treatment (WIT) offers free referrals for individuals suffering from alcoholism or addiction. We publish the weekly Addiction/Recovery eBulletin® and produce the national REEL Recovery Film Festival & Symposium. Leonard Buschel is a Philadelphia native, and a very happy Los Angeles. transplant. He is California Certified Substance Abuse Counselor with years of experience working with people struggling with addiction. 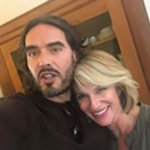 He attended Naropa University in Boulder, CO. Mr. Buschel is the founder of Writers In Treatment whose primary purpose is to promote ‘treatment’ as the best first step solution for addiction, alcoholism and other self-destructive behaviors. 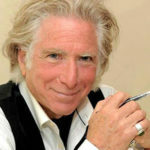 Leonard is the director of the nine year old REEL Recovery Film Festival & Symposium®, and is the editor/publisher of the weekly Addiction/Recovery eBulletin®. He also produces the annual Experience, Strength and Hope Awards® in Los Angeles. He just celebrated 23 years clean and sober. In Addition: Mr. Buschel has studied with many numinous psychologists and evolutionary thinkers including R.D. Laing, Bruno Bettleheim, Joseph Chilton Pierce, Pir Valiat Khan, James Hillman, Robert Bly, Chogyem Trungpa Rimpoche, Rev. Michael Beckwith and Ram Dass. He also was the co-founder of The Laughter Heals Foundation, a non-profit organization promoting the healing power of laughter. Recently he assisted Malibu Ranch Milestones with their full day workshop with Dr. Patch Adams. Mr. Buschel also assisted at the Spirit Recovery Conference in Palm Springs, featuring Byron Katie, Dr. Joan Borysenko Tian Dayton and Mariette Hartley. Previously Mr. Buschel worked for Logan House Publications as editor and publisher. Ahbra Schiff is graceful, sober woman of Alcoholics Anonymous who holds her head high and also occasionally trips and falls on her face. She is proud and delighted to be a part of Leonard Buschel’s Writer’s In Treatment, and the various media produced under its auspices. This is not her first time in production as Ahbra is credited with co-producing her 3 amazing children, Joshua 26, Jordyn 22 and Ellie 16, a job which also allowed her to get her feet wet in Operations and Outreach. Prior to that, she studied at various citadels of higher education including Hobart/William Smith in Geneva, NY, UCLA, CSUN and both Pierce and Santa Monica City College—but she considers her alma mater to be Tarzana Treatment Center, because “that’s where I began to learn about myself … and what a ‘pookie’ was.” Ms. Schiff attended Beverly Hills High School at the same time as Nick Cage, Pauly Shore and Jakob Dylan, but she wasn’t friends with any of them. She once went paddle boarding during a thunderstorm in Malibu, has been on several safaris in Africa, sailed down the Amazon, caught frogs in the rainforest of three different South American countries, but who’s counting. Chris Lukather is a graphic designer and web designer. He studied art and design at a well-known art college just north of Los Angeles.